There are many beautiful places to travel to all year round, but with hundreds of holidaymakers all doing the same thing, it’s less of a pleasure to discover and explore these destinations. So, why not travel out of season and jet off on your adventures during the spring? 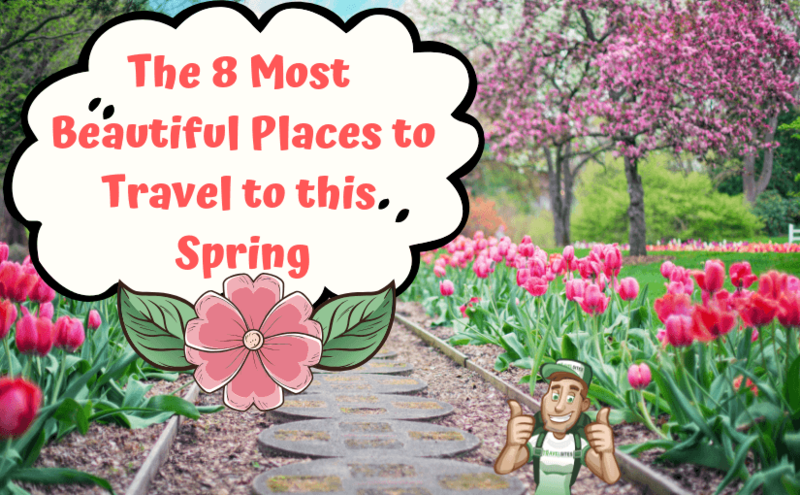 Here are the 8 most beautiful places to travel to this spring – without the crowds! If you think of the Netherlands, tulips may come to mind and it’s during spring that they are at their most spectacular. Between March and May the fields of South Holland are alive with vibrant red, yellow, orange and purple. Head to Keukenhof – the world’s largest flower garden – and see the tulips, crocuses, daffodils and hyacinths in all their glory. There are floral displays set in immaculate gardens – such a pleasure to stroll around. You can also take a guided tour or photography walk around the park. 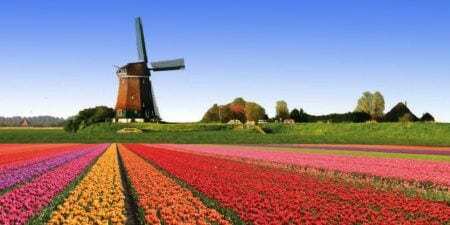 Even though tourist numbers are lower during the spring, Keukenhof remains a popular attraction, so if you want to escape the crowds, visit Heemskerk in the north. Take the Tuinen en Duinen walking route where you’ll be mostly alone amidst the beautiful flower fields. 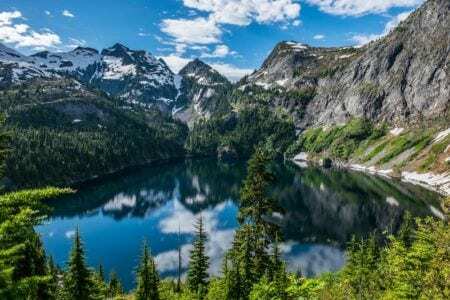 If you love nature, you should visit North Cascades National Park – a diverse region chock full of wonderful landscapes from valleys and mountains to rain-forests and deserts. There is plenty to do here with lots of trails for avid hikers and lakes for adventures canoers. The spring is particularly beautiful when valleys are transformed into a kaleidoscope of different colors from the bloom of wildflowers. This is also a good time of year to see waterfalls at their fullest, wildlife waking up from their winter sleeps and birds making their annual bypass en route to their summer nesting grounds. The spring is also a good time to visit Skagit Valley which is famous for its fields of flamboyant tulips – giving the Netherlands a run for their money! The Cotswolds have been named an area of outstanding natural beauty and it’s not hard to see why. Rolling verdant landscapes, historic towns and charming villages, where you can explore to your heart’s content, and much more. 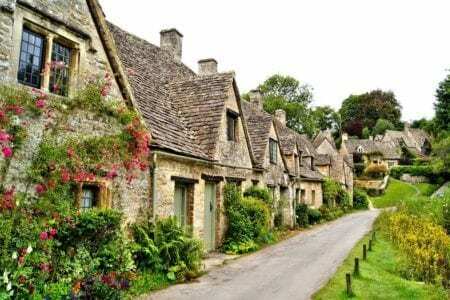 While this region of the UK is great to visit at any time of the year, spring in the Cotswolds is particularly attractive. The countryside is starting to turn green as the color changes from brown to green. Trees are beginning to bloom and along the many paths and hedgerows, daffodils, snowdrops, and primroses provide splashes of color along the way. The Cotswold Way is the perfect way to explore with well-marked paths for walking and cycling. Also in this region, there are stately homes like Snowshill Manor and Hidcote Manor where you can wander around the beautiful gardens. 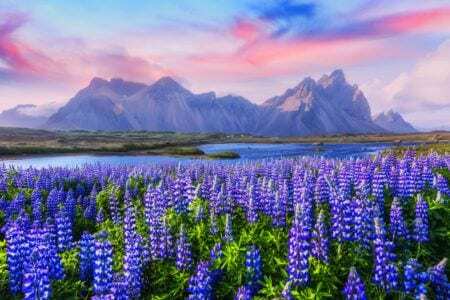 Iceland is a stunning destination with its vast snowy landscapes and the heavenly midnight sun, but visit during the spring and a whole host of other wonderful sights await you. Visit between March and early April for the best chance of seeing the northern lights dancing their nightly show in the still-dark sky. As the warmer months approach and the sun starts to melt the ice, rivers and waterfalls will be at their most impressive. Spring is also good if you want the opportunity to spot wildlife as puffins come to the island for their annual sojourn. There is nothing better than to sit and watch as the little birds with their colourful beaks jostle for space and settle down into their nests. Istanbul is one of the world’s most intriguing countries and many visitors can experience all that has to offer from its exotic sights and sounds to its delicious tastes and intoxicating smells all year round. However, visiting in the spring has some advantages. For a start, the weather is cooler, so wandering around the city in search of the local attractions is a much more pleasant affair. 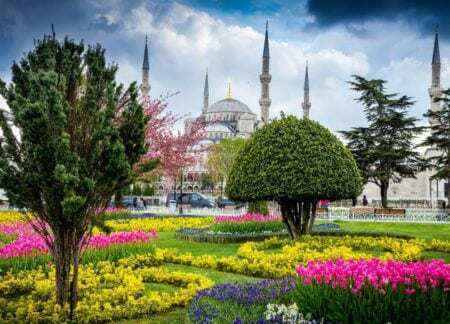 The flowers are in full bloom and spring in Istanbul brings the annual Tulip festival in the city’s parks with over 211 colorful varieties. Also, there are over 100,000 Judas trees and you can see them in all their violet and pink splendor along the banks of the Bosphorus. Spain is one of the most popular destinations, not only in Europe, but the world too! There you can find a diverse landscape, glitzy beaches, mountains and lot more besides. 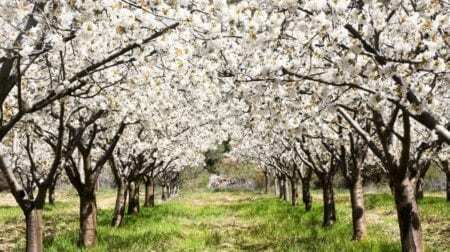 One natural beauty that you don’t want to miss is the Jerte Valley in the Extremadura region of Spain is the blooming of the cherry trees during the spring. At first glance, the mountains look like they’re covered in snow, but get up close and personal and you’ll see thousands of cherry trees are bursting forth with their beautiful white flowers. The area is stunning and there are opportunities for hiking, cycling and riding along the tracks where you’ll feel cocooned by the sea of white. This small island in the Mediterranean Sea has lots going on in spring. 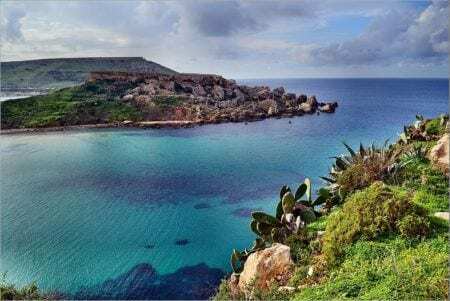 Not only is this a cheaper time to holiday in Malta, but there will be less tourists. The countryside is beautifully green at this time of year and you may well find beaches dotted around the island where you can relax or swim in the azure water all by yourself. Spring is also the time for the annual Malta Fireworks Festival, held in Mqabba, Gozo, Valletta and Floriana over 4 nights between April and May. The thrilling display of color in the sky dancing to the sound of music will give you goosebumps. There’s more fun in store with the Valletta Carnival, an infusion of fun and color with art, music, and dance. It’s all about the flowers in springtime China. Everywhere you go, you’ll be treated to an explosion of pinks, purples, reds, and yellows. It’s absolutely astounding when you witness the true beauty of this time of year. Head to Wuyuan, Luoping or Qinghai Lake to see fields of yellow sprawled out before you when rapeseed brings forth its bright flowers. Spring in China is also the perfect time to explore the great outdoors by hiking through the wilderness. It’s a photographer’s treat with the valleys carpeted in wildflowers and the towering karsts covered with lush green foliage. It’s not just the countryside that comes alive with color. 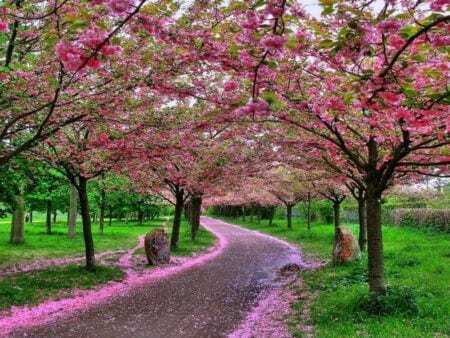 Cities, like Beijing and Luoyang, have their own natural beauty show when magnolias, lilacs, and peonies unfold their gorgeous colors for everyone to see.